With PowerCLI 6 R1 a major change was introduced, PowerCLI now has modules ! 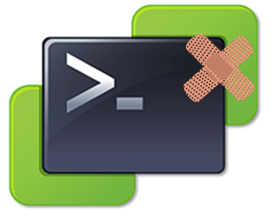 Such a major change is bound to introduce some minor nuisances, as some PowerCLI users have already discovered. This post will try to tackle some of these nuisances. The first issue is with the PSConsoleFile, called vim.psc1, which was often used in batch invocations of PowerCLI scripts. Unfortunately this is a breaking change, but it can easily be fixed as this post will show. The second annoyance has to do with the PowerShell environment variable called $env:PSModulePath. The installation package for PowerCLI 6 R1, sets the module path in the user environment variable, which might cause an issue. Read on.